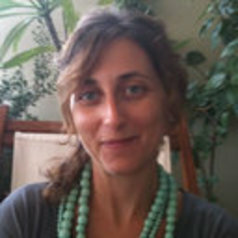 Eugenia Apostolaki is a Researcher at the Institute of Oceanography of HCMR. Dr. Apostolaki completed her doctoral training in the Marine Ecology Laboratory of Professor Ioannis Karakassis at Biology Department of University of Crete, Greece. Her thesis focused on the impact of nutrient enrichment caused by fish farming activity on metabolism and carbon (DOC, DIC) and nutrient (DON, DIN, DOP, DIP) cycling in Mediterranean seagrass (Posidonia oceanica) meadows. Dr. Apostolaki was a post-graduate fellow of State Scholarships Foundation (IKY) at the Department of Global Change Research at Mediterranean Institute for Advanced Studies (IMEDEA) / University of Balearic Islands (Spain). She studied the impact of fish farming on the magnitude and fate of production and nutrient incorporation in seagrass meadows. Dr. Apostolaki earned her doctoral and master’s degrees in Marine Biology from University of Crete, Greece. She holds a bachelor’s degree in Biology from Aristotelian University of Thessaloniki, Greece.